of Bay City, Texas. I have been teaching this technique for twelve years and have been an Artist for over thirty years. 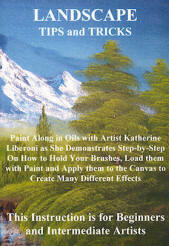 I had a wonderful opportunity working for Bob Ross Inc., where I taught at Bob's Art Work Shop. I want to bring the true Joy of Painting to everyone. No previous experience of any kind required. With this amazing painting method there are no mistakes, only happy accidents. 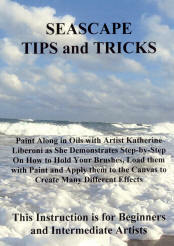 You can add, change, remove or correct anything in your painting. This method provides an enormous amount of flexibility. Fulfill your creative dreams. 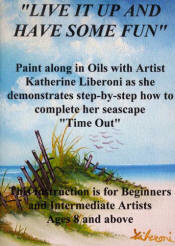 You too can learn to paint realistic landscapes, seascapes and floral in only a short time, even if you have never painted before. 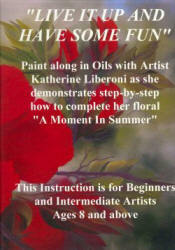 I will lead you, step-by-step, into the wonderful world of art. 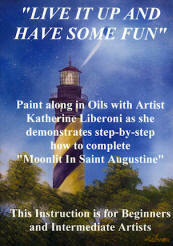 You will discover great and almost instant satisfaction in this expressive method of painting.